Why buy Australian Gold Coins? Australian Gold coins are considered by most bullion industry experts, some of the best and most collectible gold coins available in the physical gold bullion market. Kitco actively buys and sells Perth Mint Gold Kangaroo Coins. 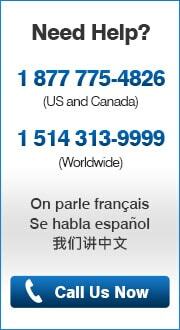 Has 1 troy ounce of .9999 fine gold content. Shipped in protective slips or mint capsules. Multiples of 100 are packaged in sealed Perth Mint boxes. Front bears Queen Elizabeth II and the coin’s Australia guarantee. Also available in collectible MintFirst slabs. $100 AUD face value & legal tender in Australia. Back features newest red kangaroo design plus year of strike, weight, and purity. Guaranteed by the Perth Mint and the government of Australia. Eligible as a Gold IRA / Gold RSP investment. The Perth Mint’s Gold Nugget Coin series began in 1987. Every year since the gold coin’s inception there has been a new design of a gold kangaroo stamped and sold to gold bullion coin buyers around the globe. Unlike most other competing official government gold coins the Australian Gold Kangaroo coin’s ever changing design builds a collectability factor and following. The Perth Mint started striking official gold coins series in 1987. Each successive year since this Gold Kangaroo Coin series (officially called the Australian Nugget / Kangaroo Gold Bullion Coin series) has featured a new kangaroo coin design building a rabid worldwide gold coin collector following. Although the 1 oz Gold Kangaroo Coin is consistently the most minted and purchased size of Kangaroo Gold Coins, these gold coin designs are also struck in sizes ranging from as small as 1/20 oz to 1 kilo gold coin sizes. The safe shipment of gold bullion coins or bullion bars in the mail is more common than you may think. The majority of Kitco Metals’ customers take fully insured, physical gold delivery to their door or preferred mailing addresses. Gold storage with a 3rd party non-bank Gold Vault? 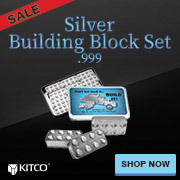 Kitco offers multiple 3rd party, non-bank gold vault options. All available gold storage options are fully insured, segregated, with your gold coin or bullion bars allocated as your property at all times. Kitco Metals’ network of top-tier gold vaults includes some of the most secure gold storage facilities in Canada, Hong Kong, the United States (COMEX approved), and the Cayman Islands (certain conditions apply). Why buy Australia Gold Coins? Since around the year 2000, there has been an increase in gold coin prices and record numbers of gold coins being sold to the investing public. During and following the 2008 Financial Crisis, the trend of online gold dealers selling Australia gold coin, other gold coins, and bullion bars to the investing public has dramatically increased as well. 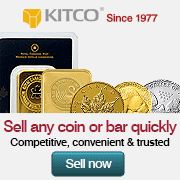 Why buy Gold Kangaroo Coins from Kitco Metals? Finding a trusted local or online gold coin dealer who promptly delivers quality gold coins at fair and reasonable gold coin prices can be difficult. We have been working in the gold bullion industry for over 40 years and seen many online gold bullion coin dealers come and go. Want more information on how sell gold or buy gold?